My name is Colleen Hann and I am a very close family friend of the Dunford Family. On January 31, 2019, Alan G. Dunford was tragically killed in a horrific accident on Route 31 returning home from his job as a High School bus driver. He traveled to and from work each and every day on his 3-wheel motorcycle in all kinds of weather. This was his ONLY means of transportation and regardless of the weather he was the sole financial support for his long-time companion and partner, Arlene and their Son, Alan. Additionally, he held a second job as a Link bus driver on Saturday’s to further support his family financially. Arlene and Alan’s love was strong and while they never legally married, to each other they were husband and wife; partners who were never apart from one another for too long. As Arlene expressed to me yesterday, “I counted the hours each day until he returned home.” Their Son, Alan, 18, is now legally the next-of-kin and must shoulder the responsibility of handling his father’s funeral and affairs. All the while being a full-time student at Raritan Valley College. His greatest worries are giving his father a proper funeral and dealing the financial burdens that are yet to come. How will he be able to give that kind of support at the age of 18, when he is just starting out in his adult life? He has a circle of support around him to guide him in the decisions he has to make, but he and his mother could use all of the help they can get. Alan is a brilliant young man, who strives to one day be a Scientist. He needs to continue his college journey and he needs to support himself and his mother. 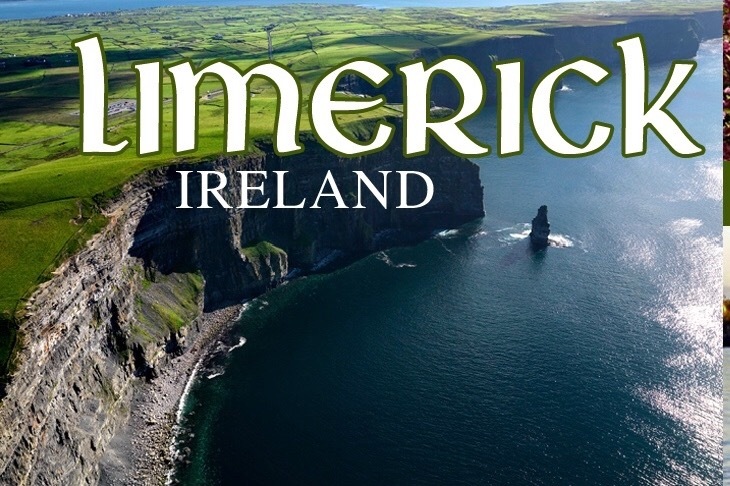 His father immigrated to America as an adult and his Son, Alan thought it fitting to return his father home to Limerick, Ireland (hence the picture on this campaign). His Mother and Father await their son’s return home. My hope for this campaign is to vastly widen Alan’s circle of support. To be able give him the financial support he desperately needs to cover his father’s funeral expenses and return him home. To further assist him financially so he can continue his studies without worrying about the household expenses he is now responsible for. The family as a whole has always struggled financially, but with his father now gone, that struggle will be much greater. I have set a realistic goal for which I hope to exceed. Every amount is meaningful in ways I cannot describe and I can say Alan and his mother would be forever grateful. I, too, greatly appreciate any generosity shown towards Alan and his mother. Thank you and God Bless. Rest In Peace Alan. For in life, you were a greatly admired man and may that admiration spread to Alan and Arlene. The outpouring of support has been amazing! Thank you all so much! While we have reached the goal set, there are additional expenses to deal with Alan’s father’s estate. I will keep the GoFundMe campaign running for the next month. Keep sharing the campaign! Every donation counts more than ever! Thank you again for all the love and support!